​Museum ships Tordenskjold, Arthur Foss, and Lightship No. 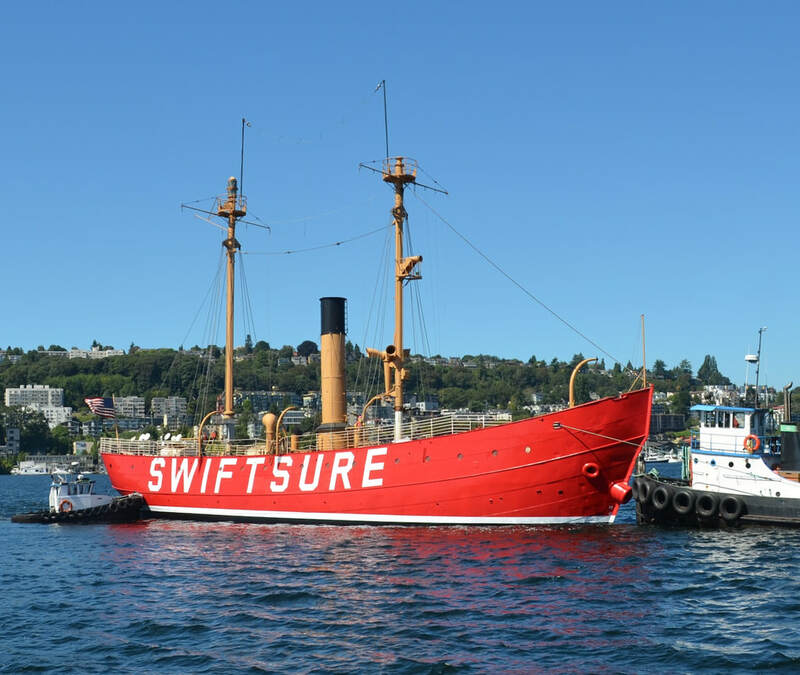 83 "SWIFTSURE" are open to the public for viewing, educational programs, special events, festivals, overnight programs, and vessel stewardship activities. 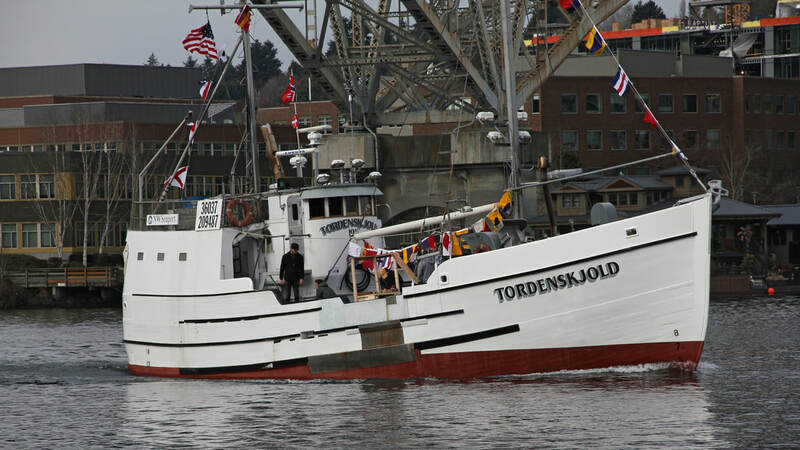 F/V Tordenskjold: Northwest Seaport’s “new” boat is a halibut schooner built in Seattle's Ballard neighborhood in 1911. It fished the North Pacific and Bering Sea for halibut, black cod, tuna, king crab, shrimp, and even sharks, finishing up a 100 year career in 2012. The boat was then retired and donated to Northwest Seaport in February 2017. Tordenskjold is still fully operational and serves as both an education platform and Northwest Seaport's floating ambassador. Lightship No. 83 “SWIFTSURE” is the oldest lightship in the country and the only one to have its original steam engine. Lightships acted as floating lighthouses and were used in locations unsuitable for lighthouse construction. The 129-foot ship is a National Historic Landmark and is on the Washington State Heritage Register. Lightship No. 83 has made its home in many ports, and has had many names — first “BLUNTS REEF,” then “SAN FRANCISCO,” then “RELIEF,” and finally “SWIFTSURE,” in the tradition of assuming the name of the nearest lightship station. Today, Northwest Seaport is in the process of a major restoration project which includes replacing the wooden main deck and restoring the interior. Tugboat Arthur Foss: Built in 1889 as the Wallowa to tow sailing ships across the Columbia Bar to Astoria and Portland, Oregon, it also towed ships and barges to Alaska during the Klondike Gold Rush and came to Puget Sound as a logging tugboat. 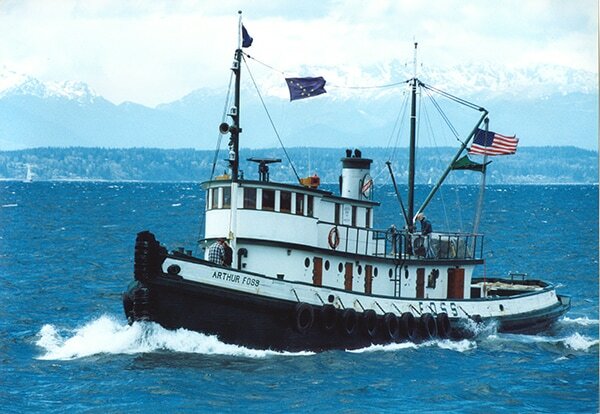 As a Foss Launch & Tug Company tugboat, Arthur Foss gained distinction as the star of the 1933 MGM blockbuster hit, “Tugboat Annie.” Following an extensive rebuild and installation of a modern diesel engine in 1934, Arthur Foss became one of the most powerful tugboats on the West Coast, operating on both coastal and offshore runs. In 1941 it was the last vessel to escape Wake Island before the Japanese attack on the island. Now, Arthur Foss continues its career as a Washington flagship heritage vessel and museum ship. It is now the oldest floating vessel in the Pacific Northwest. 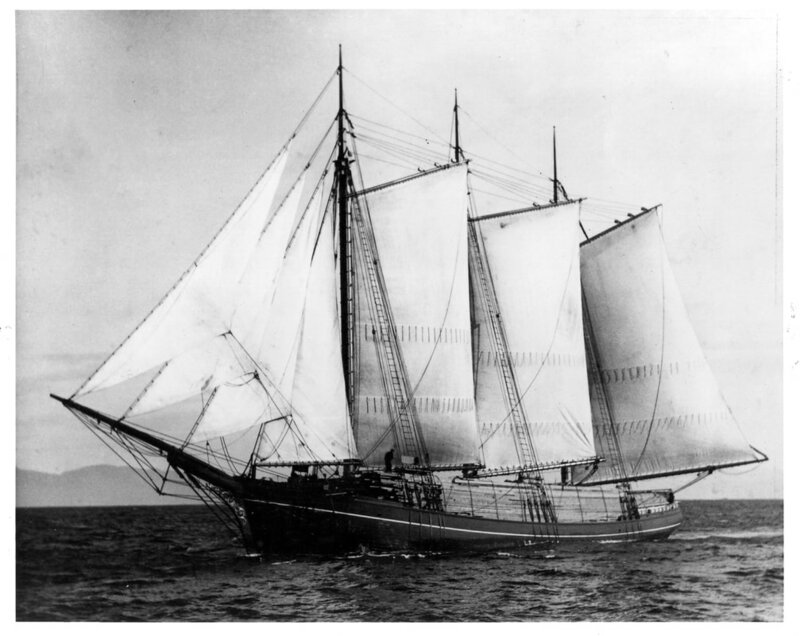 Northwest Seaport's original vessel was the 1897 3-masted schooner Wawona. It was built in Fairhaven, California by Hans Ditlev Bendixsen and was said to be the largest and best proportioned three master on the coast. Commissioned by Dolbeer & Carson Lumber Company, it joined the 250 other Pacific schooners engaged in the coastal lumber trade, sailing from the sawmills of Washington State to markets in southern California. In 1912, Wawona was laid up as steamships took over the coastal lumber trade. Sold to Robinson Fisheries of Anacortes, Washington, Wawona then embarked on her second career as a cod fishing schooner. For five months each year, Wawona sailed the waters surrounding the Shumagin Islands in the Aleutian chain. There, Wawona's crew of 35 caught codfish from two man dories and salted them down in the ship's enormous cargo hold. For 29 years, Wawona fished the far north, ranking as the "highliner" of the fleet (bringing home the most fish) for many of those years. Wawona's final voyage was in 1947 when the market for salt cod collapsed and the era of frozen fish took over. In 1964, Wawona was rescued by Save Our Ships (SOS), the precursor to Northwest Seaport (renamed in 1972). In 1970, the ship became the first vessel in America to be placed on the National Historic Register. For more than 40 years, the ship welcomed thousands of visitors and underwent many major restoration efforts. Funding to get ahead of the decay in the ship's aged timbers never materialized. The wet climate and leaking decks eventually put the ship into ever increasing decline. In 2009, Wawona was dismantled in a local shipyard after extensive archaeological documentation. Parts of the ship such as the wheel, bell, and lanterns live on at Northwest Seaport, a dory and nuberous other artifacts from the ship are at the Anacortes Museum, repurposed wood from the hull planking is exhibited at The Museum of History and Industry and The Center For Wooden Boats, and the ship's steering gear and other rigging hardware are fitted aboard her sistership, C.A. Thayer--the last Pacific Schooner, recently restored by the National Park Service in San Francisco. ​ Although the ship could not be saved in its entirety, Northwest Seaport has striven to save as much data and significant parts as possible and continues to promote the legacy of this amazing ship. In 1999, a short documentary film was made showcasing the ship. Watch it by clicking here.